Sixers guard T.J. McConnell is in the final year of his contract. 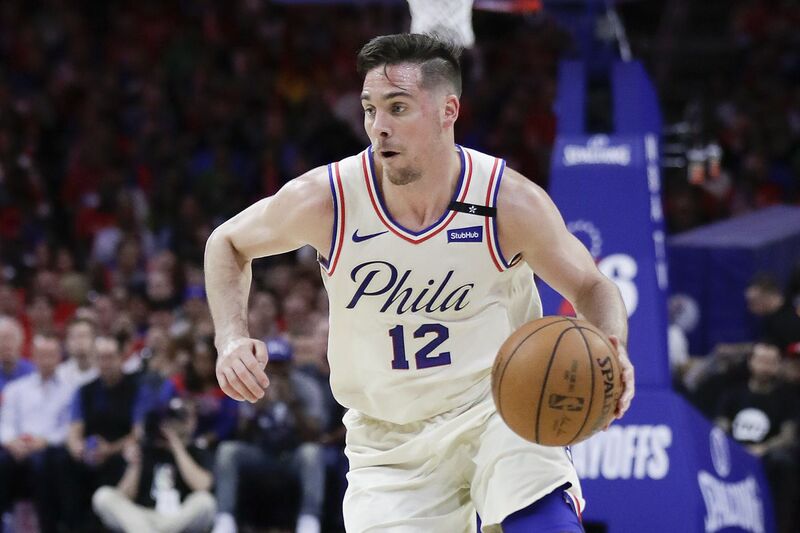 The 76ers are expected to see how the season will play out before deciding whether to retain reserve point guard T.J. McConnell, according to a league source. "I have so much love for this organization, this city, this fan base " McConnell said. "I want to be here. I want to play here. Unfortunately, I think that's kind of out of my hands. But this is where I want to be and we'll see what happens." The two sides did discuss a contract extension after last season and were unable to work out a deal. The Woj Pod mentioned that the Sixers have had some "conversations" since then about signing McConnell to an extension. The podcast did not suggest that those talks have been serious. The Sixers declined comment. The Sixers are not talking to McConnell or his representatives at this time according to the podcast. Not having serious conversations at this time makes sense because the Sixers are looking to free up as much cap space to go after maximum-salary free agents next summer. The team must also find out what it has in Markelle Fultz this season. McConnell will earn a non-guaranteed $1.6 million salary this season in the final year of his contract. He'll become an unrestricted free agent on July 1 if the Sixers don't extend his contract. There will be a market for the fourth-year veteran. Teams have already approached the Sixers about acquiring him in a trade. The Phoenix Suns did that in recent weeks, according to several sources. The Suns offered a second-round pick, and the Sixers declined. During the 2016-17 season, the Cleveland Cavaliers wanted to put together a deal that would have brought Jordan McRae to Philly for McConnell. The Sixers declined then, too. The 6-foot-2, 190-pounder will take career averages of 6.4 points, 5.1 assists, 3.0 rebounds and 1.3 steals into Thursday's home opener against the Bulls at the Wells Fargo Center. The Pittsburgh native has played in 239 games, with 69 starts. McConnell plays with a spirit that cannot be quantified on a stat sheet. He was the main reason the Sixers forced a Game 5 in last season's Eastern Conference semifinal series against the Celtics. He was thrust into the starting lineup with the Sixers down by three games to none and on the verge of elimination. McConnell responded by scoring 19 points on 9-for-12 shooting. He also had eight rebounds and five assists.